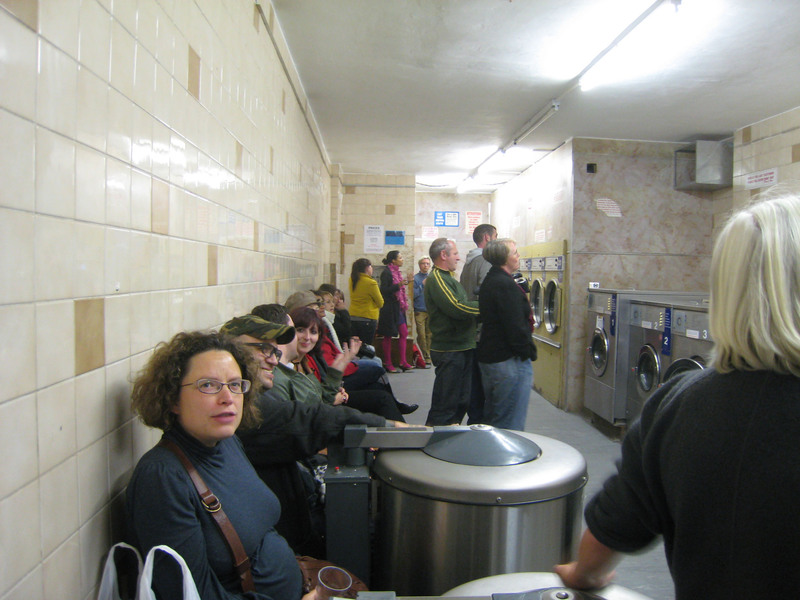 The laundrette is a classic British institution. 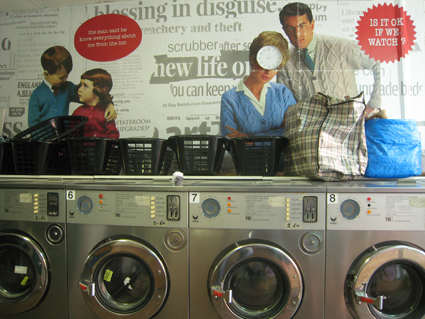 I first noticed the launderette after I came to the United Kingdom. 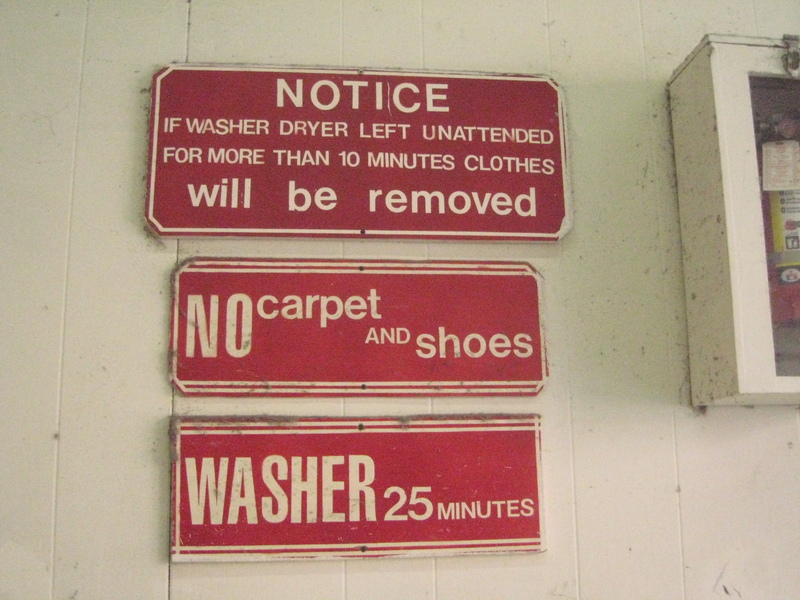 I found that local people would always take their dirty clothes to the laundry room for washing. 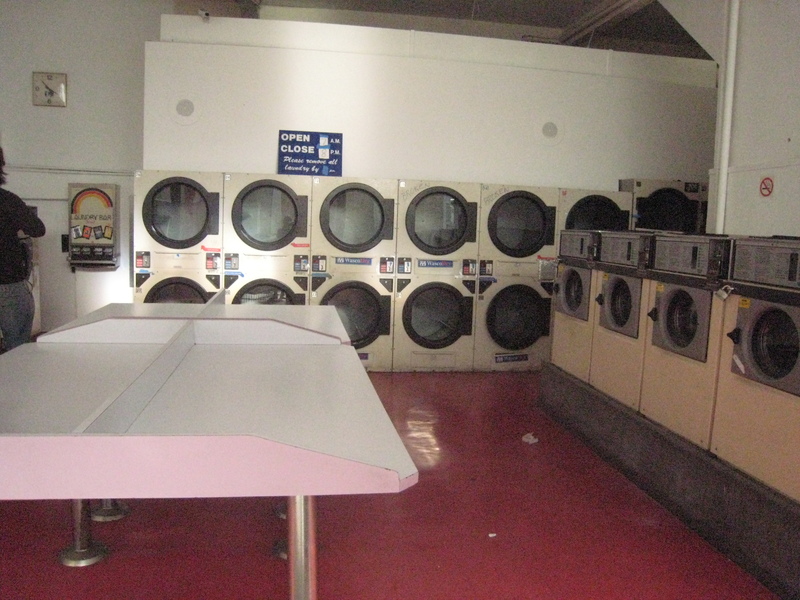 Perhaps in China, there are no public laundry rooms and people are more used to wash their clothes with a washing machine at home, and generally, different kinds of clothes will be classified into washing underwear and outerwear separately. 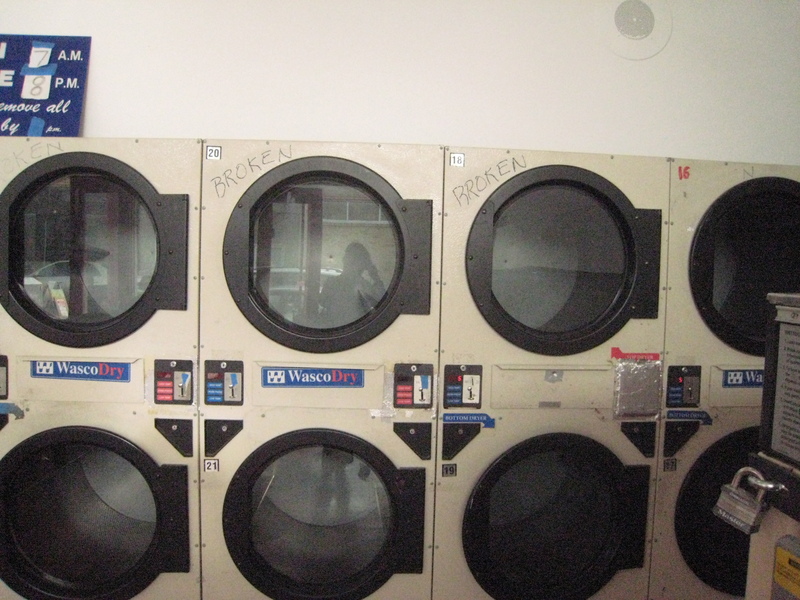 In addition, I knew that most British families have a washing machine. 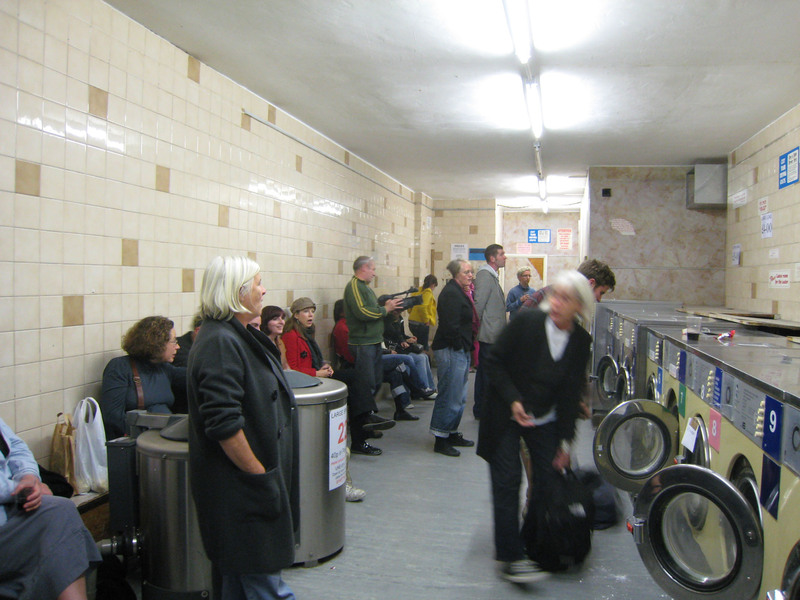 Therefore, initially, I am very curious about why people prefer to go to launderettes rather than wash at home. 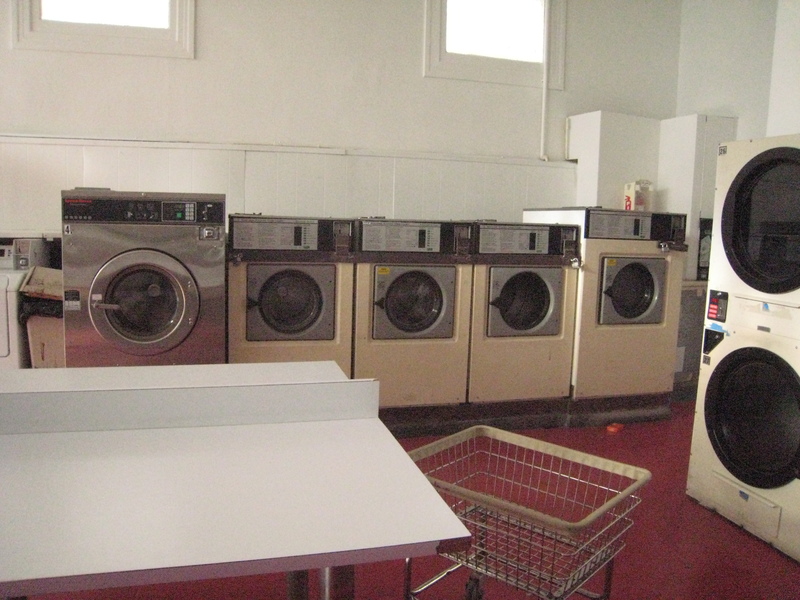 What kind of things will be laundered in launderettes? 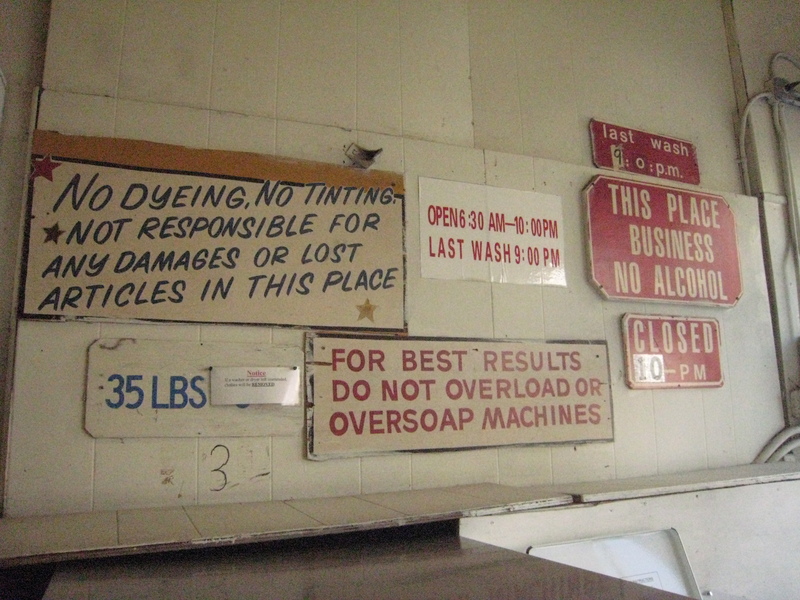 I asked the staff and customers about my questions when I went into the launderettes to practice this project. Apparently, different people have different answers. 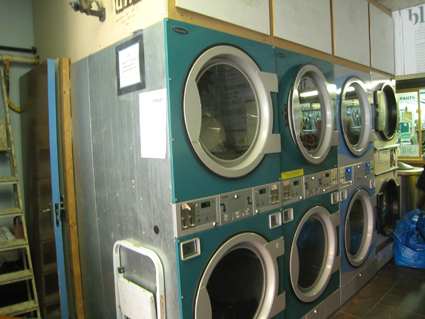 Some people answered that they need to wash some large things such as the beddings, so they have to wash in launderettes; some people said their washing machine was broken; and others responded that they will wash dirty clothes at home, and just dry at laundrettes because they have no way to drying at home. 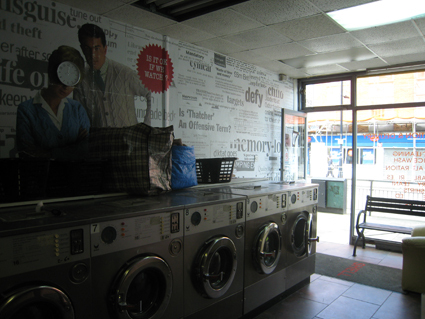 The second reason, which encourages me to practice this project, is from the movie <My Beautiful Laundrette> (1985). It is a British film which mixed the racism and sexism issues and had caused considerable attention in the international film world. The story focuses on Omar, a young Pakistani man living in London, and his reuniting and eventual romance with his old friend, a street punk named Johnny. 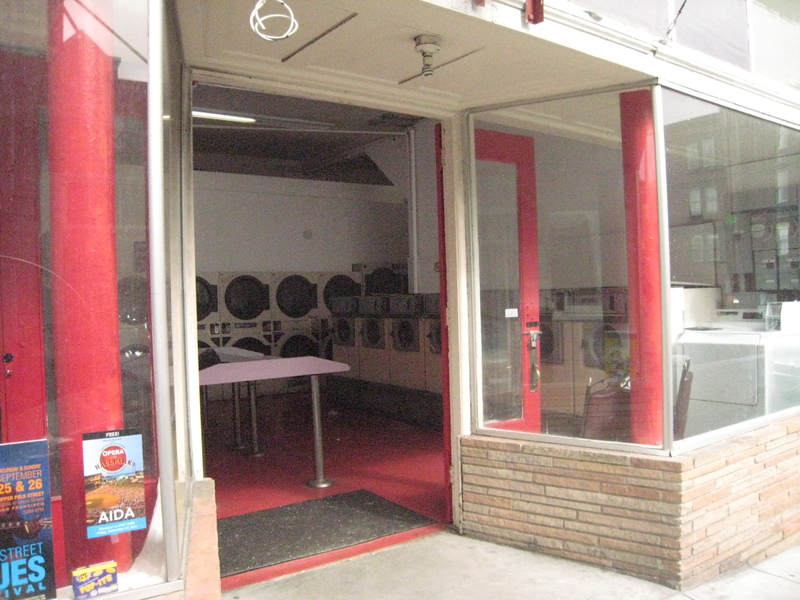 The two become the caretakers and business managers of a Laundromat originally owned by Omar’s parents, and a couple of lovers. 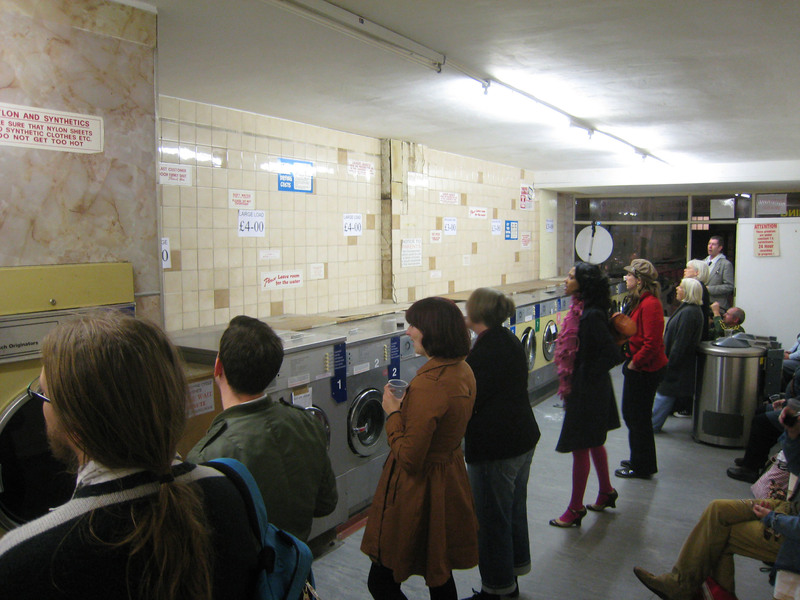 This film made me have a strong interest in the launderette and inspired me to try to understand in the end what it looks like. What more exciting stories will be happen there? 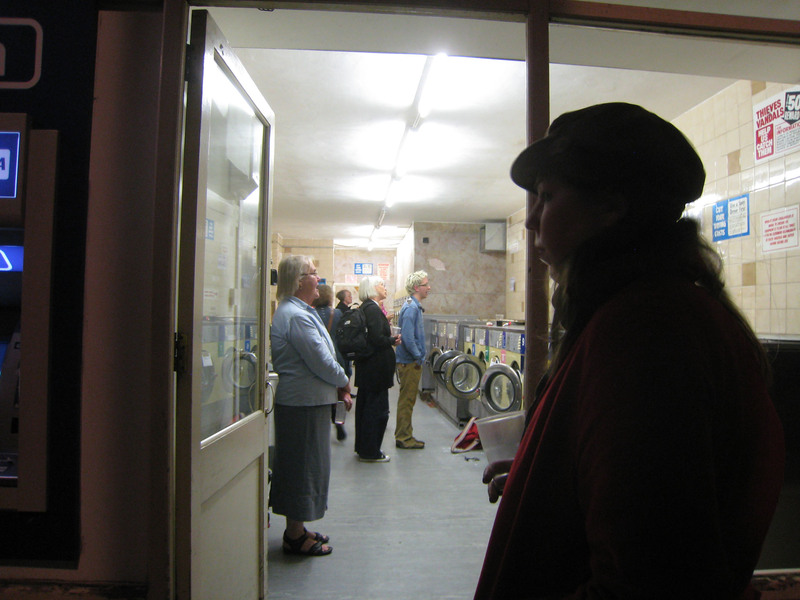 Or as the clip <The Launderette> demonstrates what lovely karma that brings for you: perhaps in launderette, people can experience the true love or create miracles. 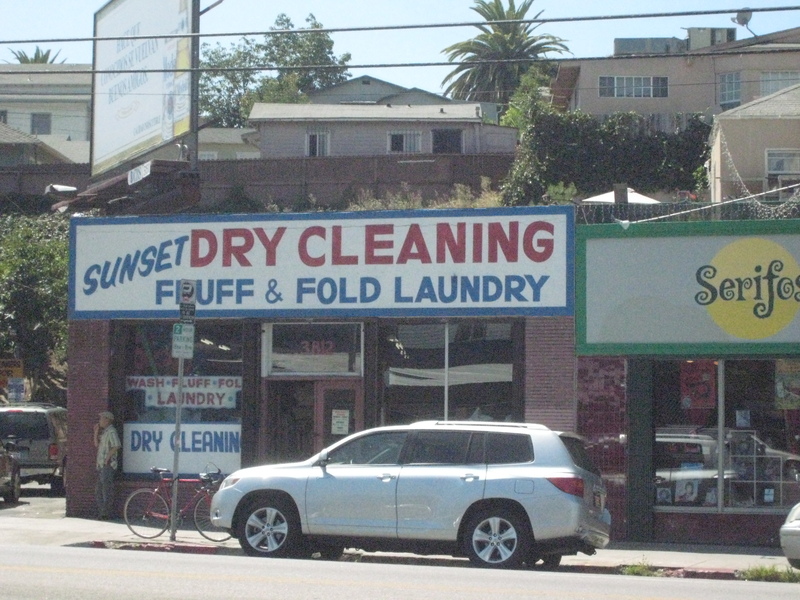 It seems the launderettes of California are thriving! 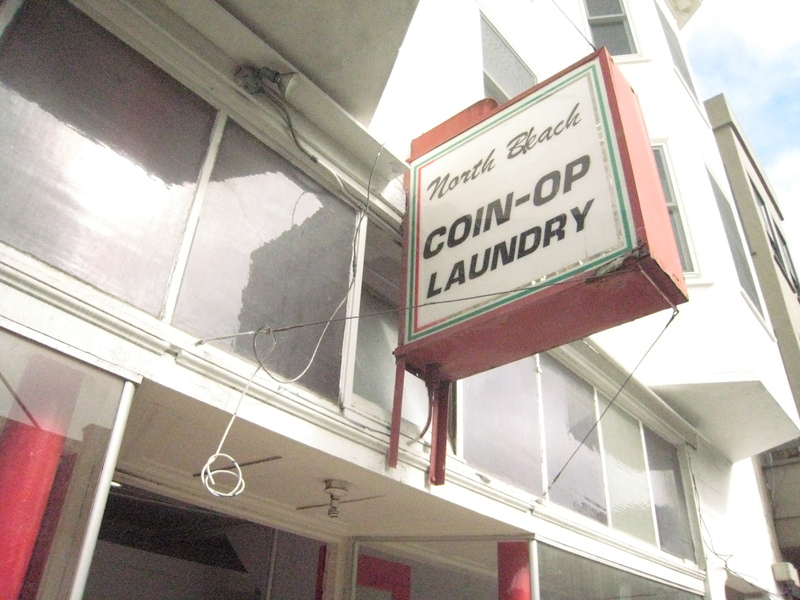 They’re everywhere in San Francisco and LA. 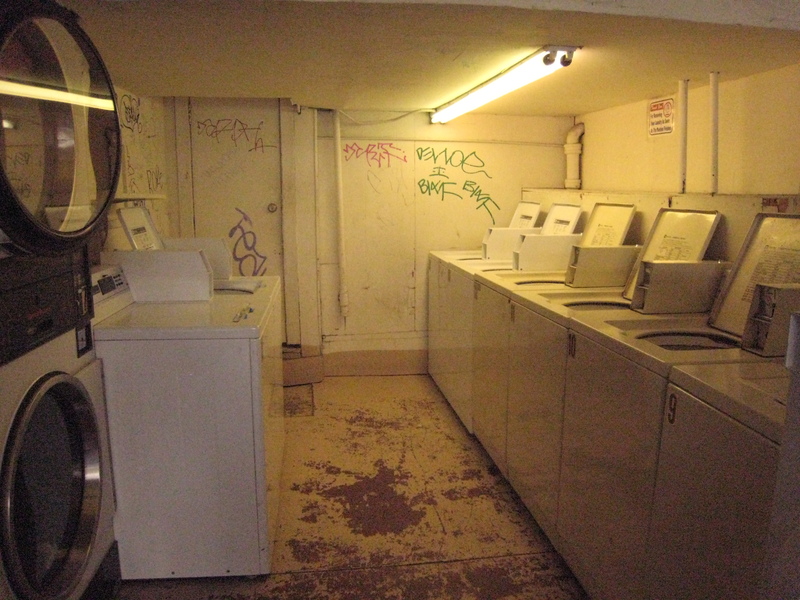 On Sunday I went to my local launderette to dry some towels and a dressing gown that I had washed at home but had nowhere to hang up. 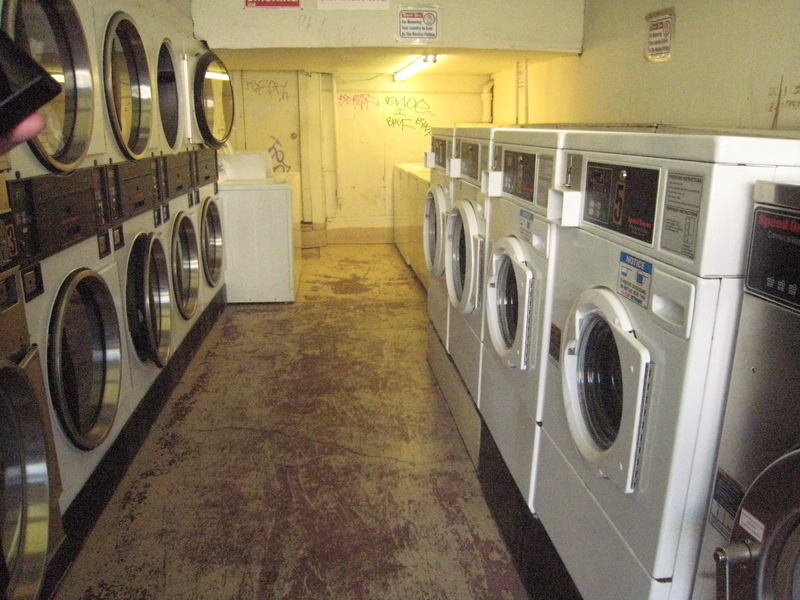 An older woman engaged me in conversation – first complaining that the spinners weren’t working (which makes the drying very expensive) – and then telling me a bit about herself. She had met the Queen twice, and Princess Diana once – “before the gossip killed her”. join us on the 14th October to hear more!